Pasteleria O'Pazo is a homemade cake shop and cafeteria in the centre of the village of Arbo.There are various freshly baked magdalena cakes including for those with special diets;different types of cakes:for birthdays, anniversaries, weddings,engagements and all other types of events. 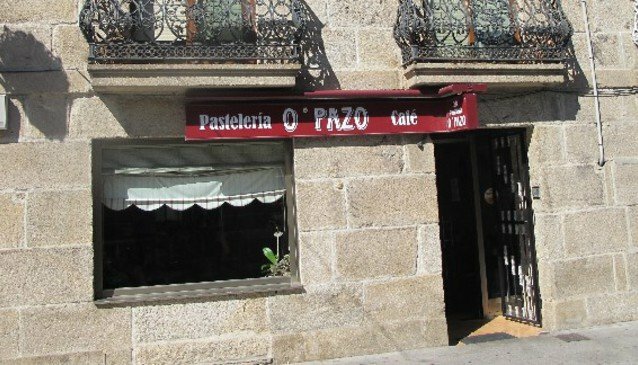 Pasteleria O'Pazo also provides a home-delivery service. The shop can produce cakes made to order as well as canapes,pasties and diet-friendly deserts. The cafeteria is open for breakfast and lunch until 8pm.